I have An Investment Approach I which I would like to all. Why Is Calvin so bullish? 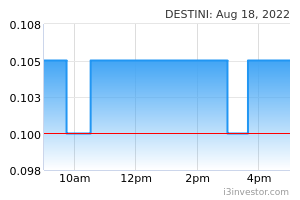 DO WE EXPECT A 344% GAIN IN DESTINI WHEN PRICE REACHES RM1.40? abang_misai How about Brahmal in Presbhd and GBaqrs? Don’t simply quote this name for personal gain. cheoky Brahmal stuck in aprs and urecst. moneykj Brahmal also in Ifcamsc in 2014. Now negotiating take up pp in Orion. abang_misai In this case, Brahmal may have miss calculated Destini. 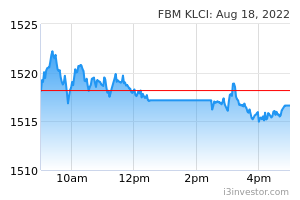 calvintaneng WE ARE ALSO BUYING BELOW 40% TO 50% OF MOF (MINISTER OF FINANCE) BUYING PRICE!! BUY LOW & SELL HIGH IS THE CORRECT STRATEGY!!! moneykj Rozabil is Umno man. In this case, Brahmal may have miss calculated Destini. LGE (MOF) IS NOW IN DESTINI!! calvintaneng WHY YOU GUYS EARLY EARLY SO FEARFUL CANNOT GET CHEAP DESTINI MUST BE SO NEGATIVE? CALVIN CHN CHUN CALL ON OPCOM WENT DOUBLE LIMIT UP OVER RM1.10!!! AND ONCE DESTINI GOES LIMIT UP LIKE MY NAIM BUY CALL? THEN CRY FATHER CRY MOTHER CRY BABY ALSO NO USE LOH!!! moneykj Many counters I agreed with you. Azrb is yes. Not this. Today better go for Orion. THEN NAIM CROSSED RM1.00 AND? AND PEOPLE CHASED IT INTO LIMIT UP!!! WHY SO STUPID CHASE NAIM LIMIT UP? AND WORST OF ALL: WHY BE SO SUPER BODOH LISTEN TO NAYSAYERS NAIM MOHD TAIB COUNTER CANNOT BUY? AND SUPER BODOH PEOPLE NOW TELL YOU DESTINI CANNOT BUY BECAUSE DESTIN BELONGS TO UMNO? SO JUST BUY UP KAW KAW!! Simple man good research. base on current PE212, this stock will fly kite. my short term target is RM 0.50. Accumulate now before too late. good research. base on current PE212, this stock will fly kite. my short term target is RM 0.50. Accumulate now before too late. HOW COME SIMPLE MAN HAS TURNED INTO CLEVER MAN? abang_misai Cavin, when this Destini wants to go up? I want to sell.